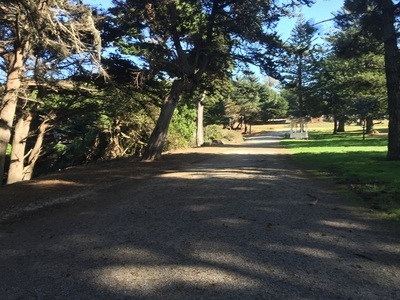 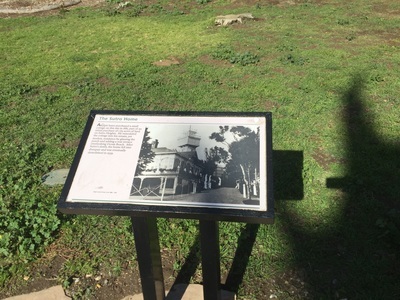 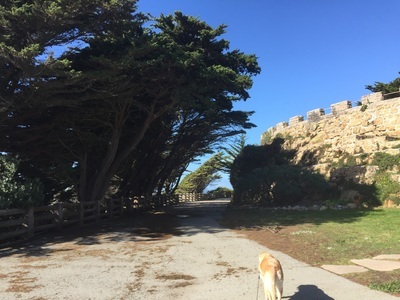 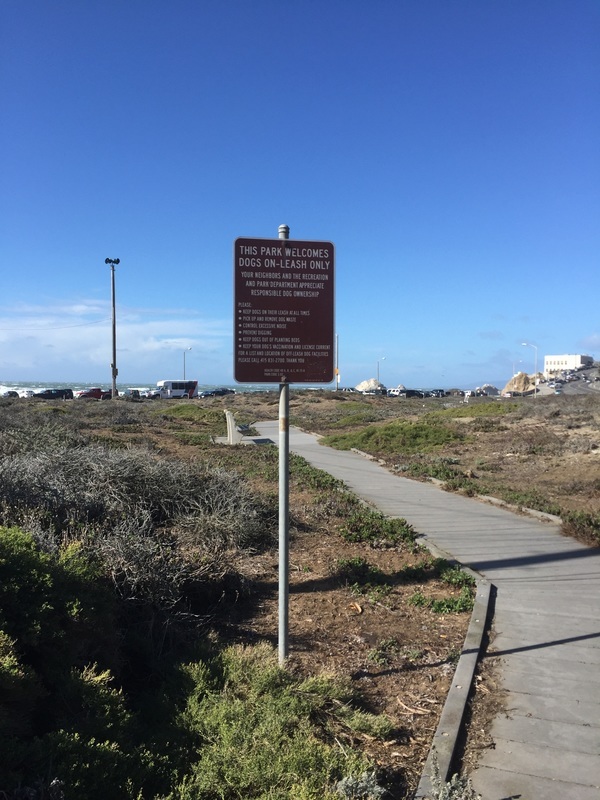 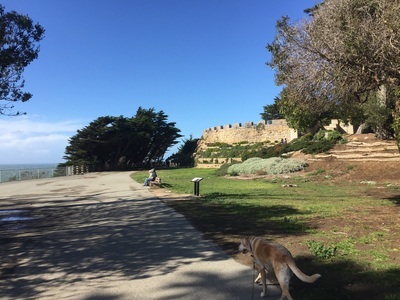 Parking: Free parking in the neighborhood near the address above (on Balboa St.), or at either of the Lands End parking lots on Point Lobos Ave. 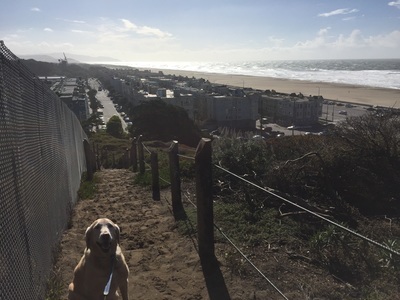 Description: From Balboa St., you can walk among the sand dunes and then take the set of stairs up for panoramic views of the beach and city. 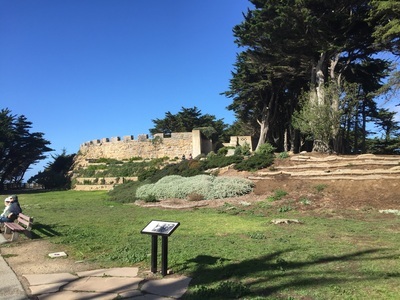 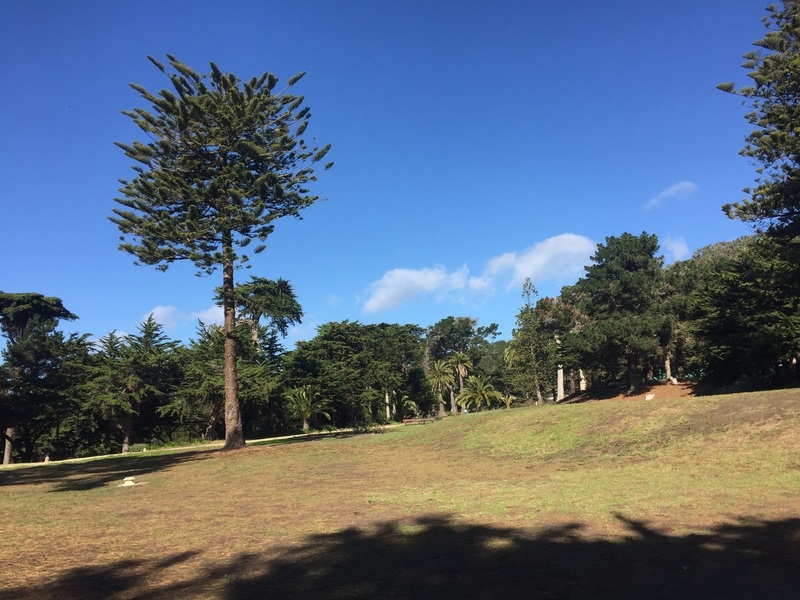 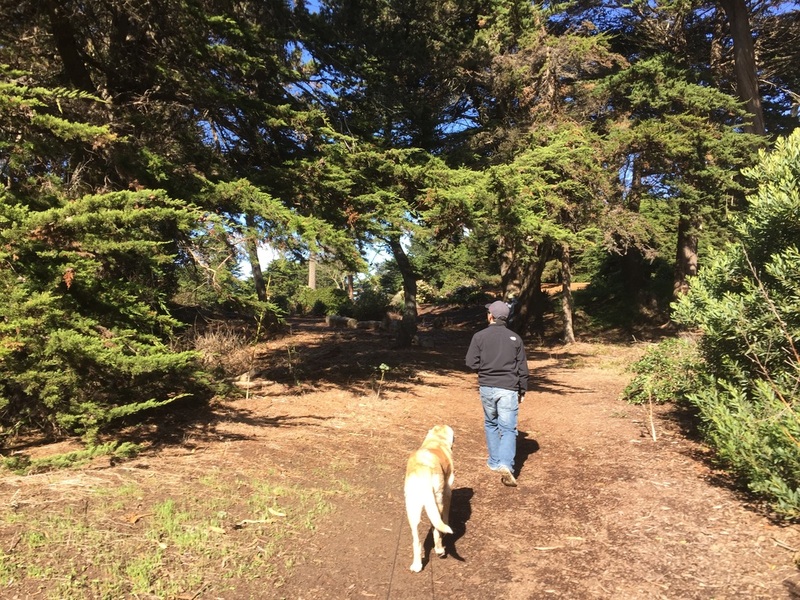 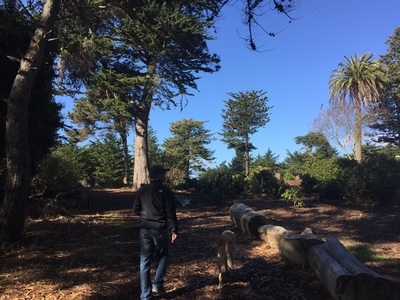 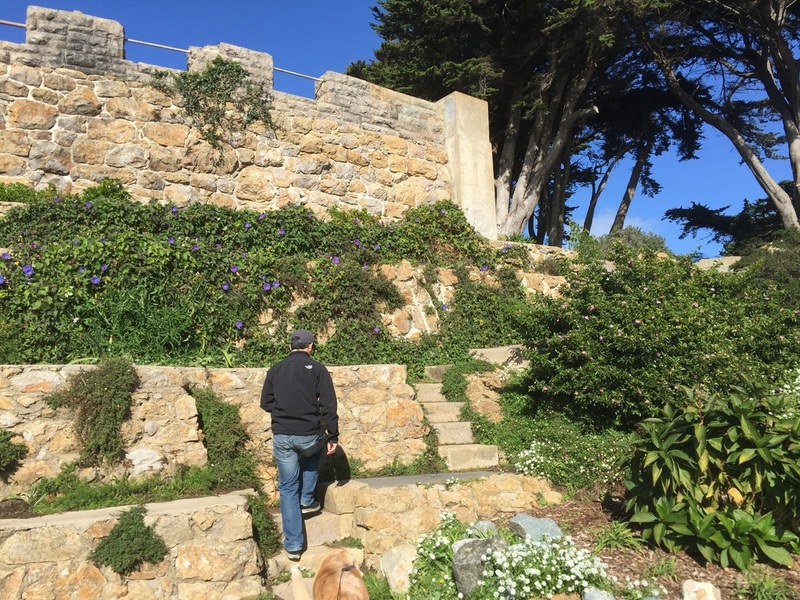 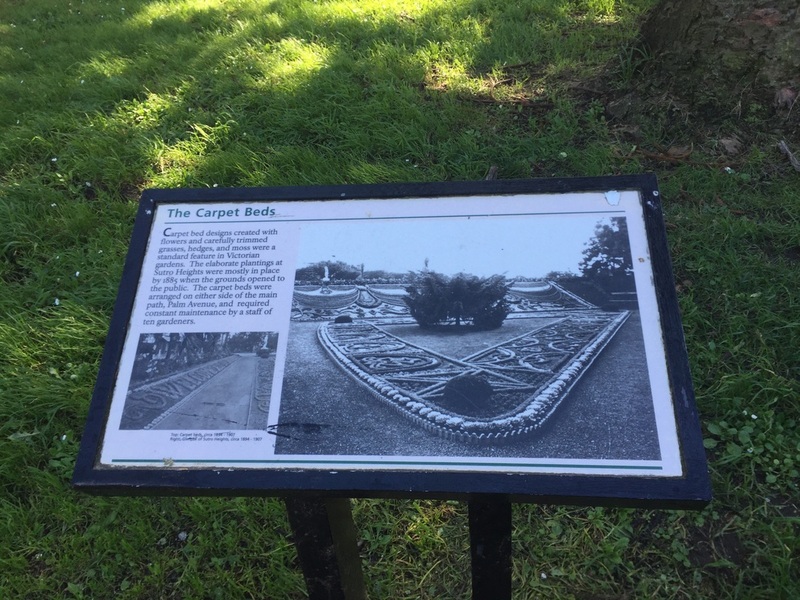 At the top, you will reach a large grassy area and you can walk up the remains of millionaire Adolph Sutro's house. 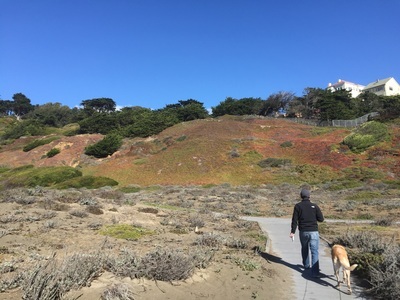 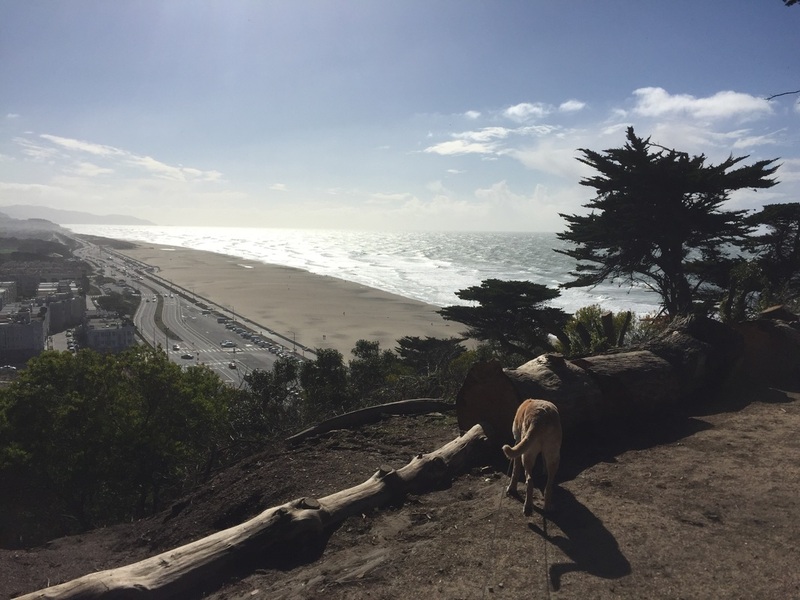 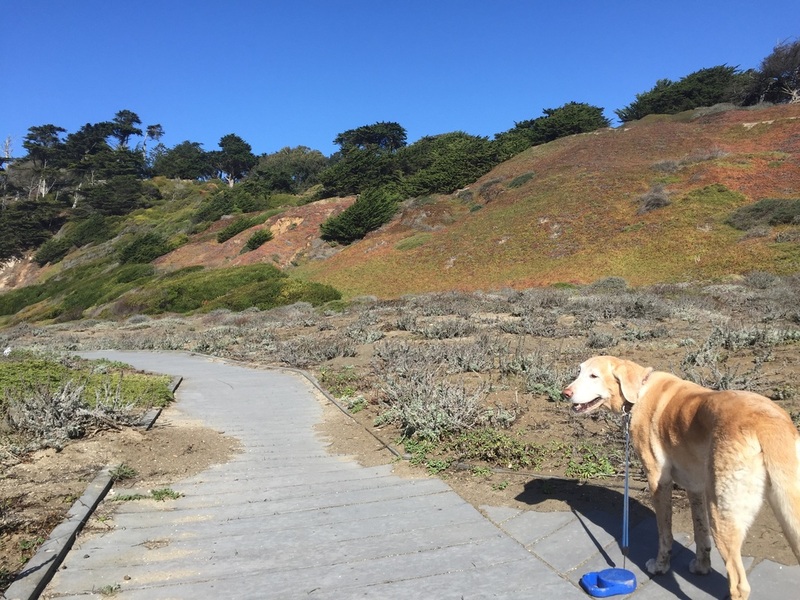 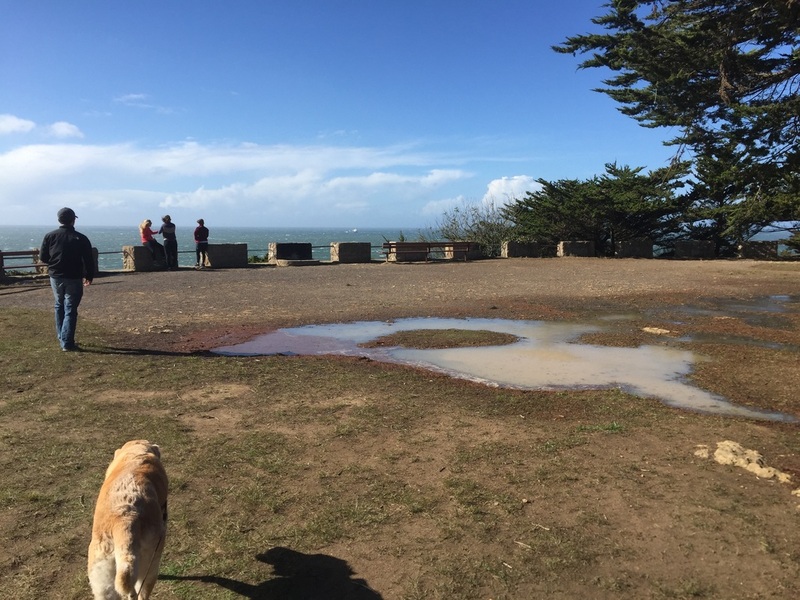 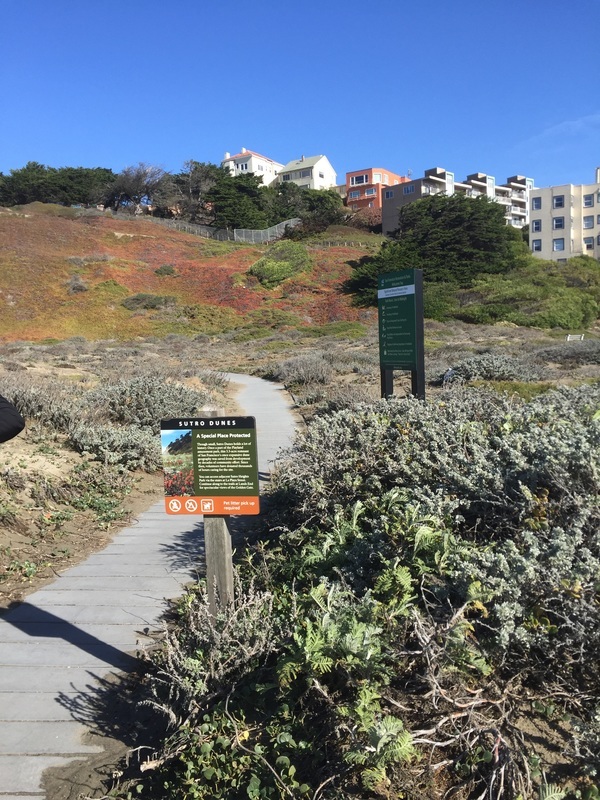 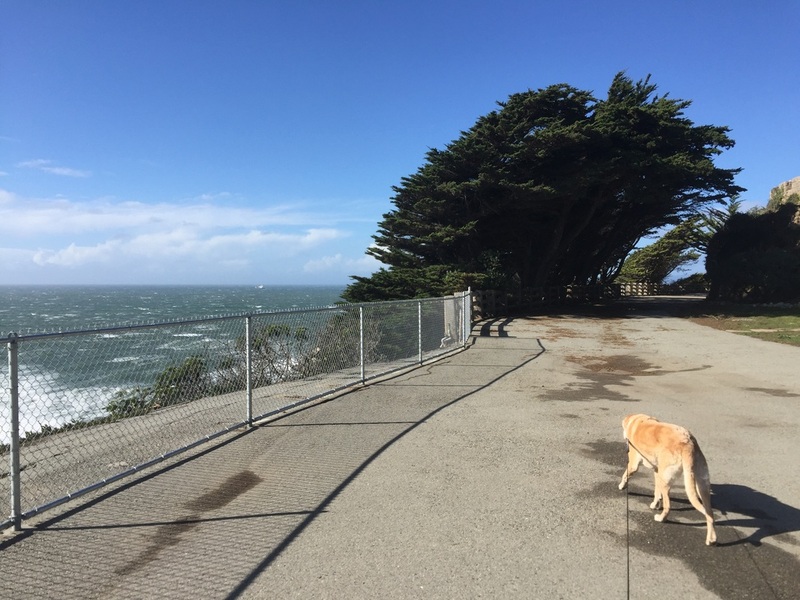 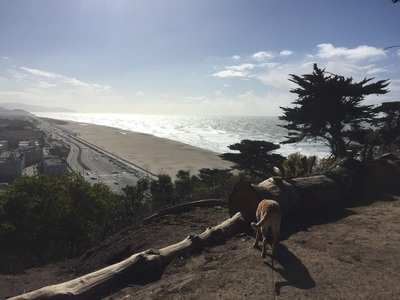 There is a perfectly placed bench overlooking the beach, where you can imagine Sutro once walked out on his private deck. 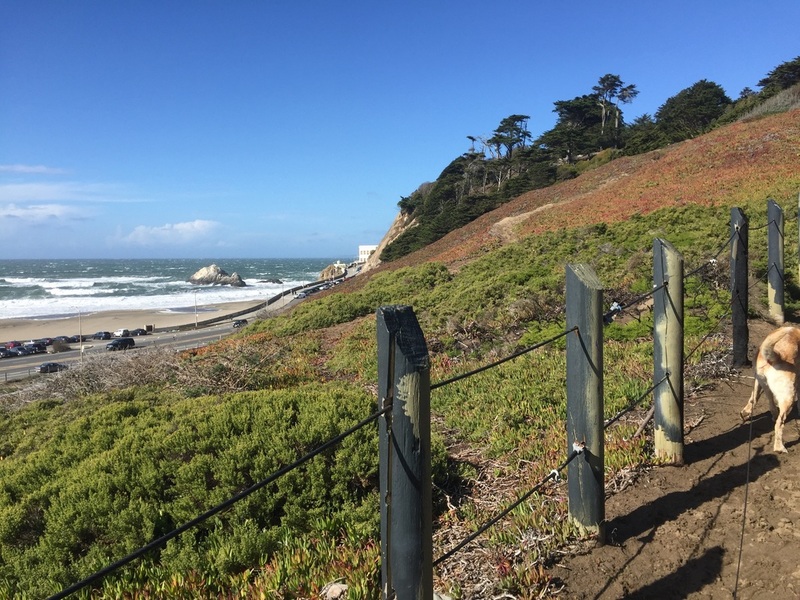 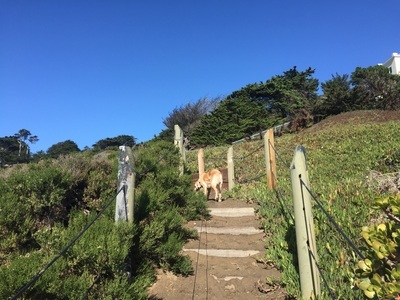 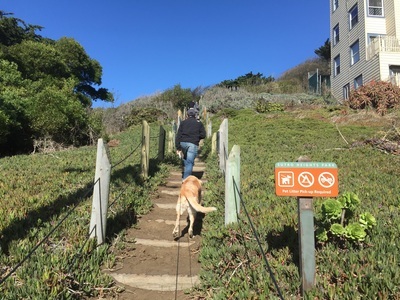 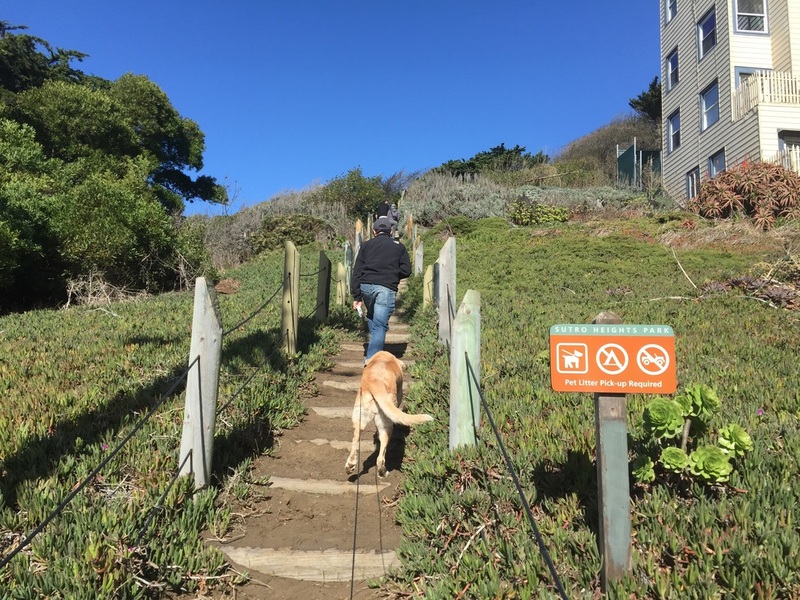 You can retrace your steps from here or take the trail to your left to the Lands End Lookout. 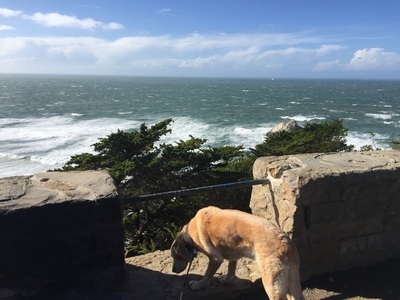 There are no restrooms or running water in the park, but you can go to the visitor's center at the Lands End Lookout.